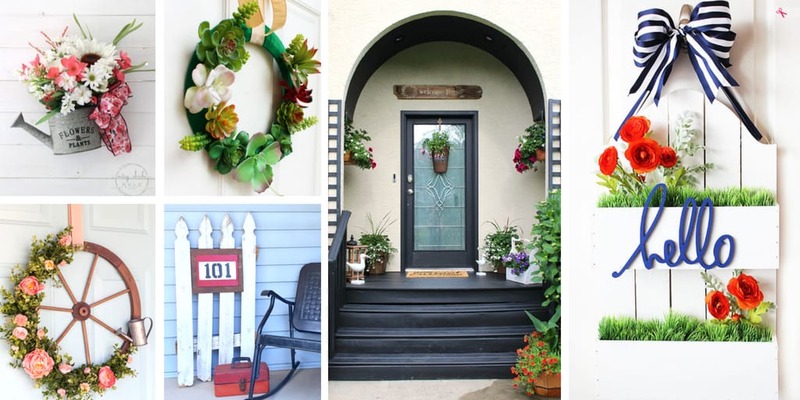 Summer front door ideas are some of the most fun to collect and create. In the summer, flowers and greenery are in full bloom and there is so much inspiration around to draw from. Not to mention changing my front door decor makes the whole house look more welcoming for the season. I think one of the biggest challenges with summer front door decorations is that they’re usually either full-on Fourth of July or dull. There’s usually not much in-between. Since I live in the hot and humid Southeastern part of the United States, we tend to go from winter to summer with little variation in between. That means that those hot days last a very long time and my door decorations tend to wilt and fade over time – even the artificial flowers can’t take the swampy heat! Despite Mother Nature’s efforts to keep me from decorating my front door, I am determined. I tend to change out my door decorations a couple of times during the long hot months. Escpecially since the 4th of July falls in the middle of summer. I like to create something just summery and bright… then change it out for something patriotic. Then go back to the summer flowers after the holiday has passed. It is fun for me and it keeps things nice and fresh. 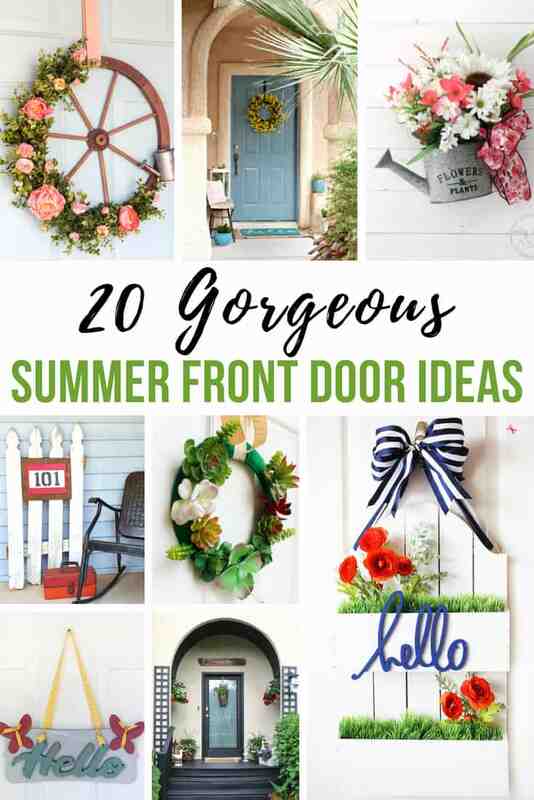 The links below are some of my favorite front door ideas. They Make the entryways look so welcoming and homey with a true summer-like feel. Even though I’m still debating which one to make (I really want to make them all! 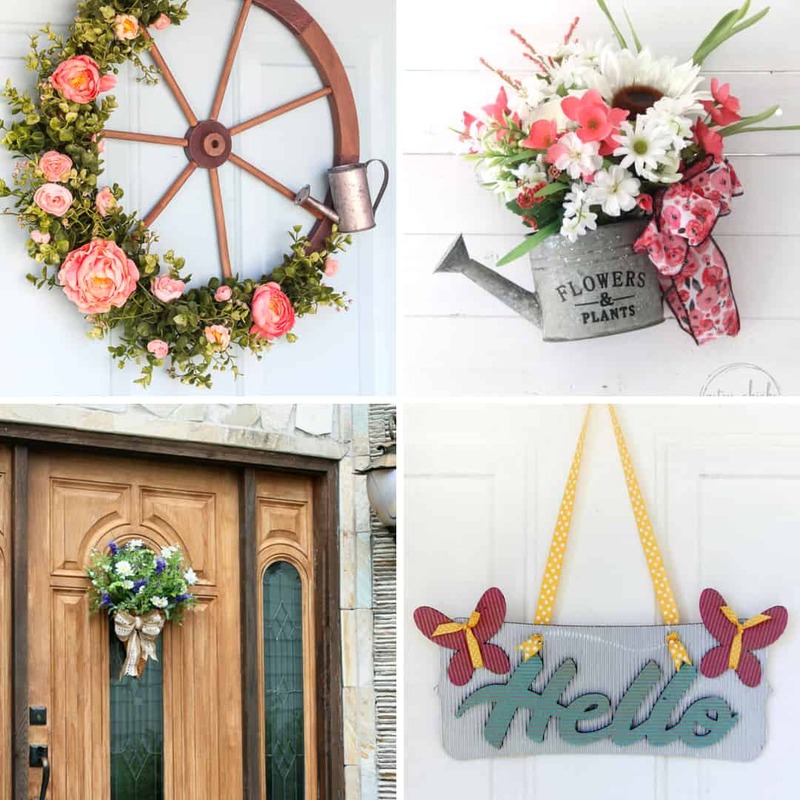 ), I feel really inspired by the wagon wheel and the watering can wreaths. With these types of ideas in mind, I head to the craft store. My creations never turn out like the pictures but I uses them as a starting place the make the idea my own. 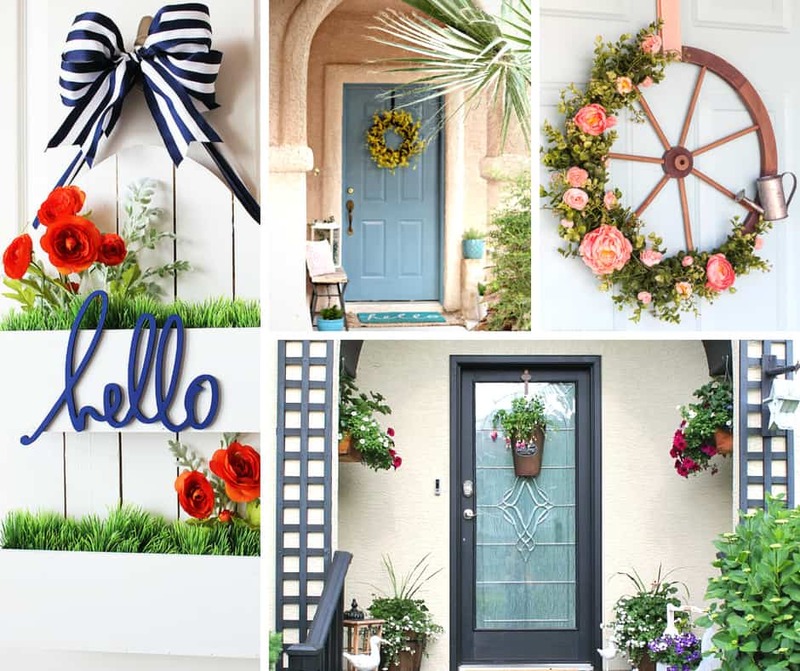 Show us your Summer Front Door! Tag us on Instagram @IWishIWasCrafty! Looking for more Home Decor ideas? We have them!